For the ninth year, Orange County Fire Rescue (OCFR) engineer Steve Kibler embarked on his annual tradition of shaving his head under the watchful guise of family and friends at St. Baldrick’s signature Central Florida event, Johnny’s BIG Shave. Kibler was joined by another 120 “shavees” from his team at OCFR Station 2057 with the City of Orlando and Seminole County Fire Rescue to honor the memory of his late son Camden, who died after being diagnosed with pediatric cancer in 2008. Camden only lived 160 days, but left a positive and lasting legacy in Central Florida. Every year, Johnny’s BIG Shave honors a brave child fighting pediatric cancer. This year, Aidan and his family were recognized at Johnny’s BIG Shave. Johnny’s BIG Shave is held annually at Johnny’s Fillin’ Station in Orlando. 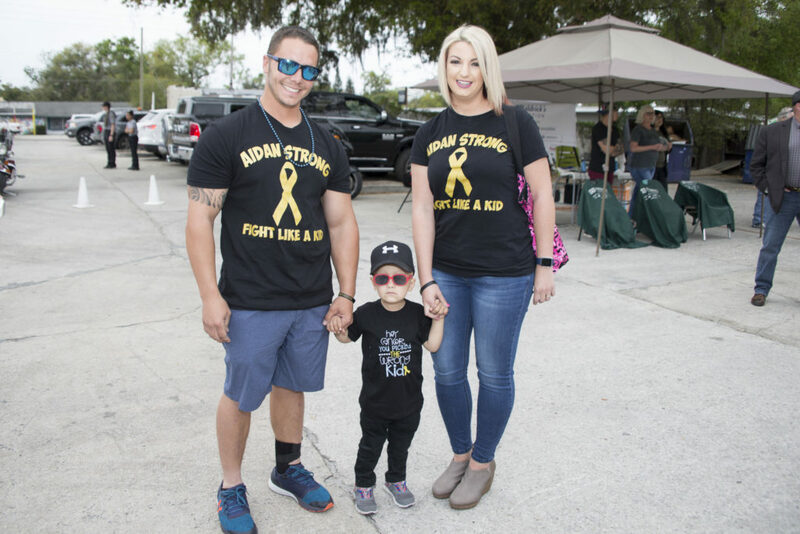 This year, the March 10 event drew close to 400 residents, raised more than $40,000 and honored a brave child Aidan, who is fighting pediatric cancer. In total, Johnny’s BIG Shave has helped raise approximately $250,000 for the St. Baldrick’s Foundation, a not-for-profit organization that raises funds to help find cures for children with cancer. After Camden’s passing, Kibler and Camden’s mother Jannae found strength as the tight-knit community of first responders rallied around the family. 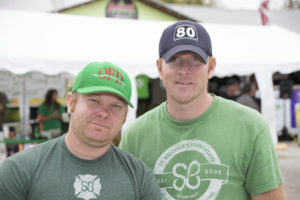 St. Baldrick’s signature Central Florida event, Johnny’s BIG Shave, encourages individuals to shave their heads in solidarity with children diagnosed with cancer and raises money for pediatric cancer research. The event is open to the entire community. 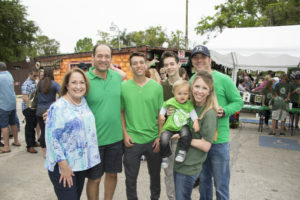 Orange County Mayor Teresa Jacobs attended and volunteered at the event. She was inspired by the courageous stories shared by families affected by pediatric cancer. Mayor Teresa Jacobs and Orange County Fire Rescue Chief Otto Drozd attended and participated in Johnny’s BIG Shave. “St. Baldrick’s has become a highly-anticipated tradition throughout Orange County Fire Rescue and we are honored to support it again this year,” said OCFR Chief Otto Drozd, III. Kibler said public service and being a fire fighter has enriched his life tremendously. Kibler said he’s had the support of the entire OCFR Division and leadership team since the event’s inception nine years ago. Orange County Fire Rescue engineer Steve Kibler and Orlando Fire Department engineer Jon Clayton show their dedication to Johnny’s BIG Shave on March 10. He especially appreciates the families and staff that have no connection to pediatric cancer, but still support Johnny’s BIG Shave every year. Additionally, he recognized and thanked Orlando Fire Department engineer Jon Clayton for working with him on the event for the past two years. 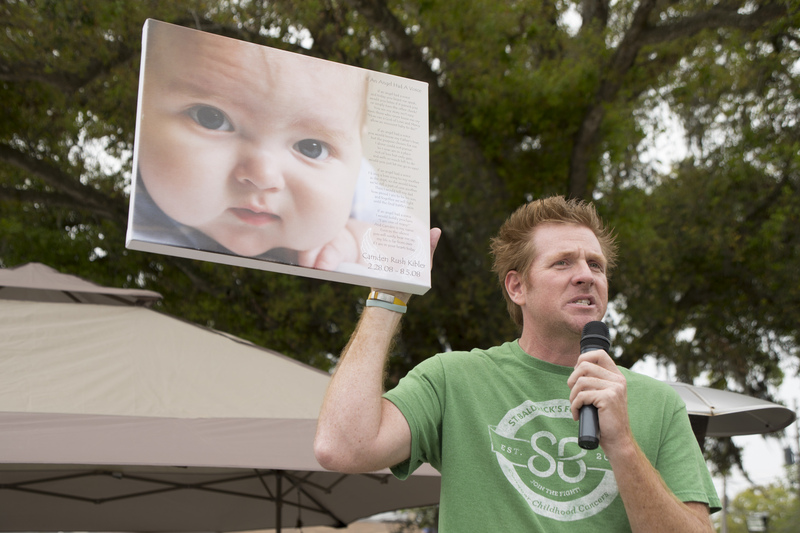 Primary Photo Caption: Orange County Fire Rescue engineer Steve Kibler speaks about his late son Camden at St. Baldrick’s signature Central Florida event, Johnny’s BIG Shave.